Earlier today, Facebook unveiled a new site for its Messenger app that brings the experience you know from mobile to the Web. It seemed like the perfect candidate for a desktop app, but Facebook didn’t release an official one. Just a few hours later, a group of developers has made a small app available that makes the Messenger site act like a desktop app on OS X. 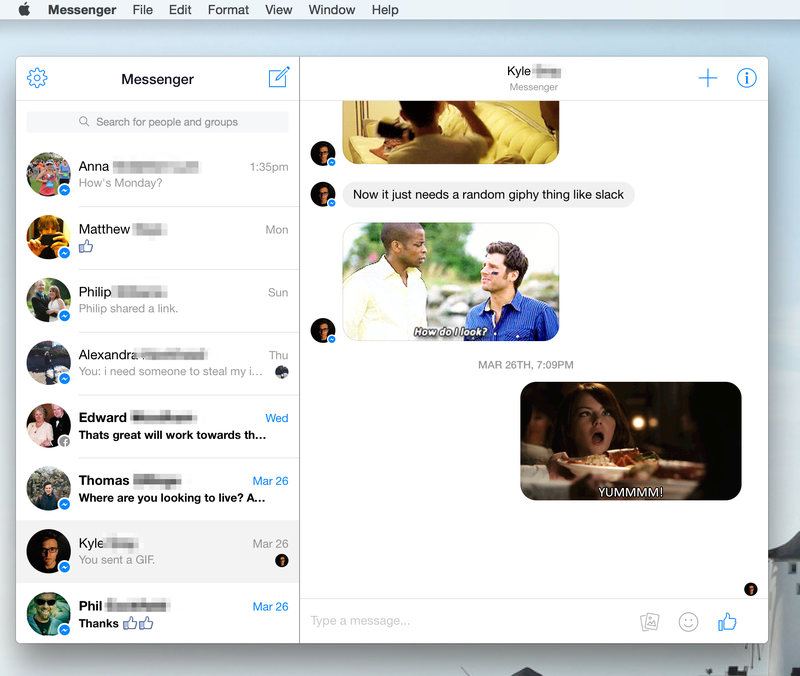 It looks and feels like a native application, with the expected features like desktop notifications and you get the full, official Messenger experience. The app is open source, so if you want to contribute or check there’s nothing shady going on, the code’s entirely on Github. The group isn’t affiliated with Facebook in any way, however, so be prepared for the occasional weird glitch.